This article provides information on entertainment in Indore. Check out the means of entertainment in Indore, India. Entertainment has become a necessity in the cities, today. The busy and stressful lifestyle gives people little time to enjoy and relax. In such a situation, the various means of entertainment come to rescue. 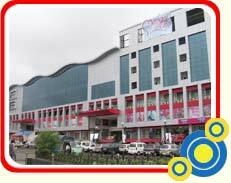 Indore is equipped with places like malls and cinema halls to provide relief from all the worries and tensions. These options are very viable and facilitate people to steal time from their work, for pleasure. Tourists coming to the Indore city of India can also avail the opportunity and entertain themselves completely. Cinema is the most popular medium of entertainment in Indore as well as in the whole country. Owing to the fact that Indians are great cinema lovers, Bollywood has emerged out to be one of the biggest film industries in the world. Indian cinema is quite rich in its content and has a great deal to offer to its viewers. People become ignorant of their daily life problems and get refreshed. There are a number of cinema halls in the city where you can enjoy the new releases, namely PVR, Mangal Adlabs, INOX, Velocity, Man Mandir, Madhumilan, Neel kamal, Alka etc. Malls are the hottest trends in cities today. Apart from being exotic shopping destinations, they are emerging out to be one of the major hang out places of the city crowd. Malls provide a comprehensive package to the people, wherein they can shop, eat and enjoy at the same place. The motto is: everything under one roof. Indore is also host to many such malls, which provide variety and comfort to the visitors. Treasure Island is the largest, with 5 floors and 245 stores. It is the most popular mall around and is located in the heart of the city. There are also other malls namely Mangal City mall, Indore mall, Orbit mall, Salaasar market etc.